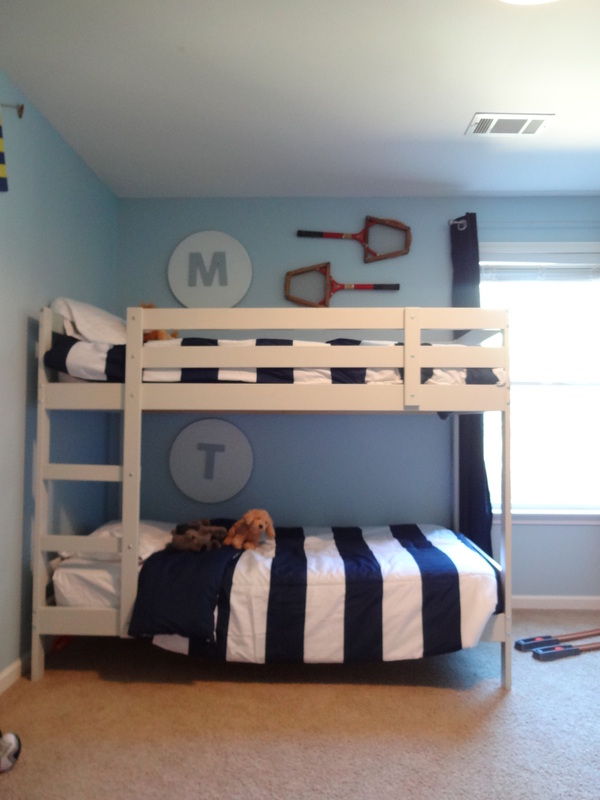 We painted the boys a cute sports theme when we moved in 5 years ago. How can it be that we have lived here 5 years already!? That’s seems crazy. Anyway, it was cute and functional and 5 years later…dirty and dated. 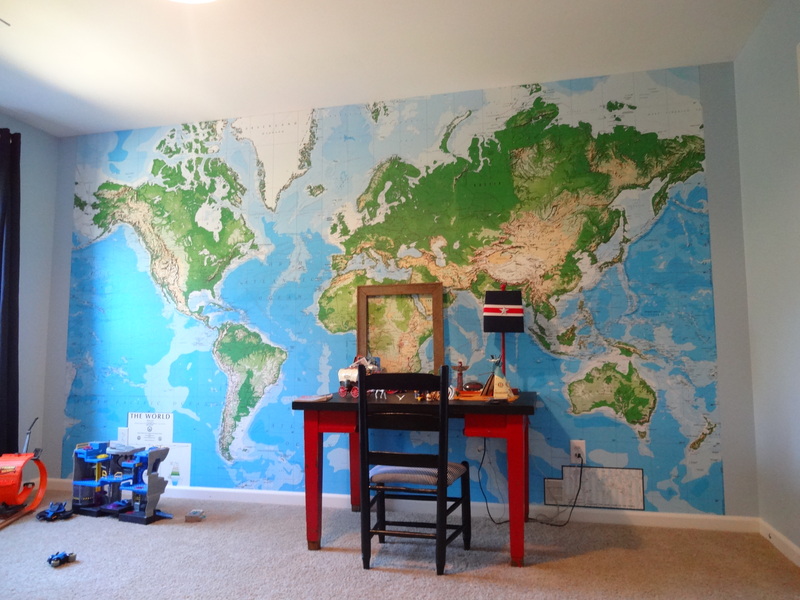 I had been seeing these map walls floating around the internet and I knew I wanted it. I knew the boys would love it and that we could keep it up for many years. So as most of my projects begin, I just start on a whim while Mark is at work! Mer was my little helper. This girl is so good, I can get anything done while she is here. 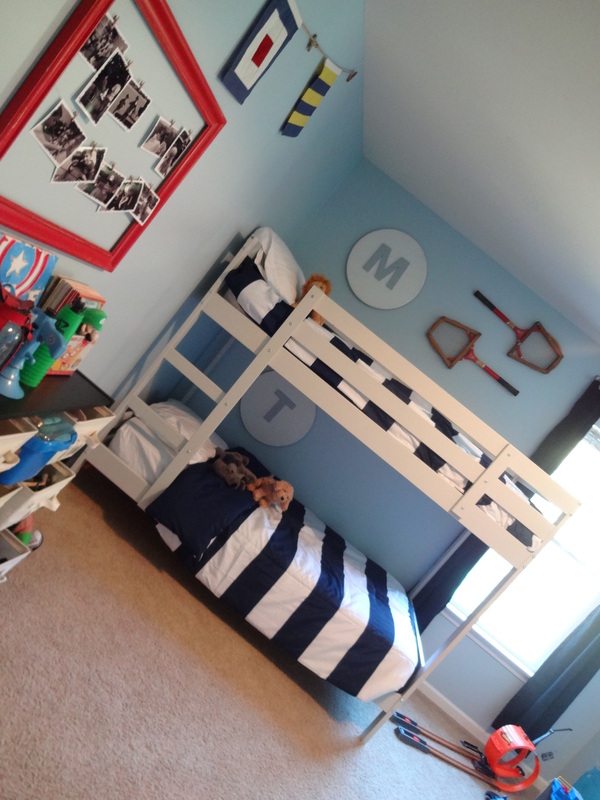 I had to prime over the red and dark blue stripes on the wall. I tried to find a before and I can’t and I am just wasting what little ‘blog’ time I have looking for it. So we got that primed and then, again on a whim, I walked into Lowe’s and picked a grayish blue and went with it. I have been doing that more lately and it seems to be working out for me. This color is called School Boy, I think. Something like that. Why do boys have to touch the walls???! 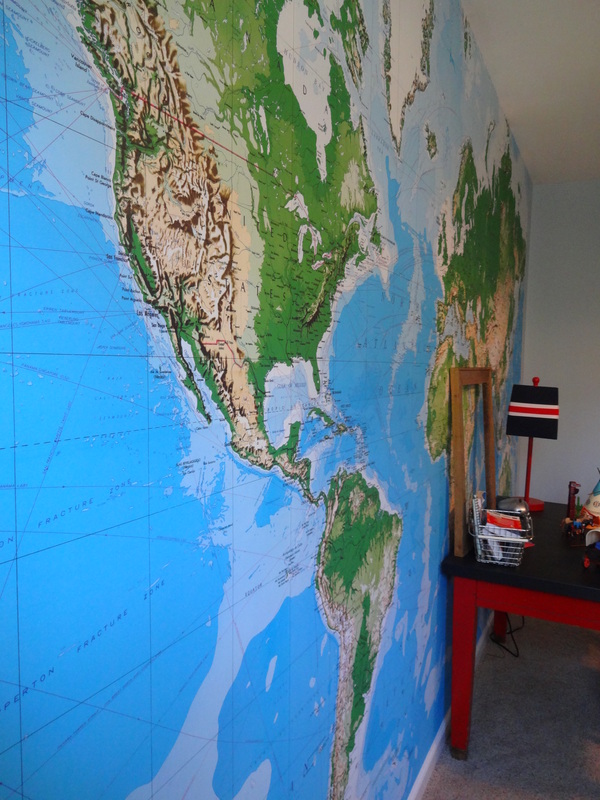 I had nothing to do with the assembly of the map wall. That was all Mark and his mom. for cutting some off the top and bottom, I said I would just keep the kids out of the way. They did an awesome job! I moved stuff around and added a flag banner from Land of Nod, new curtains and new bedding. I scored on those big, rugby stripe comforters at Target online. Only $20 each. They were $60 and up on other sites. with a custom built one that would be bigger and hold more toys. I love this new room. 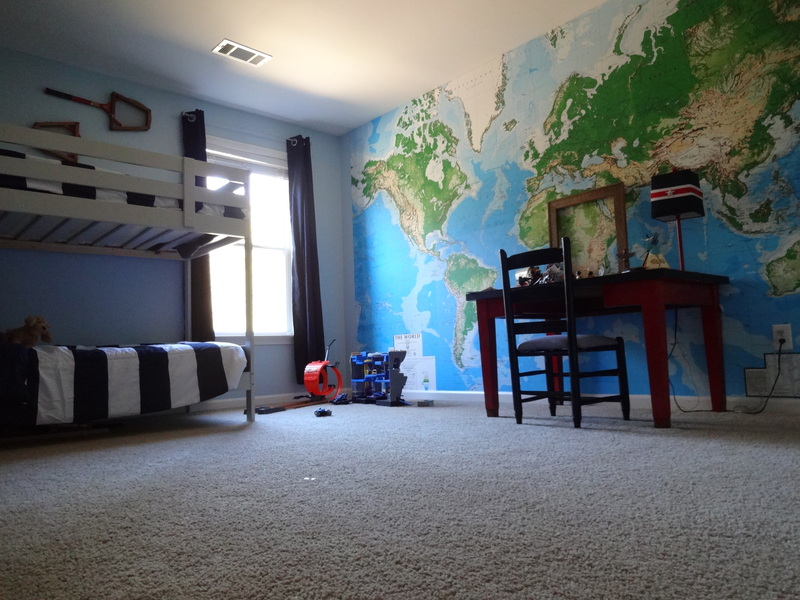 It is really pretty and the boys do love the map wall.